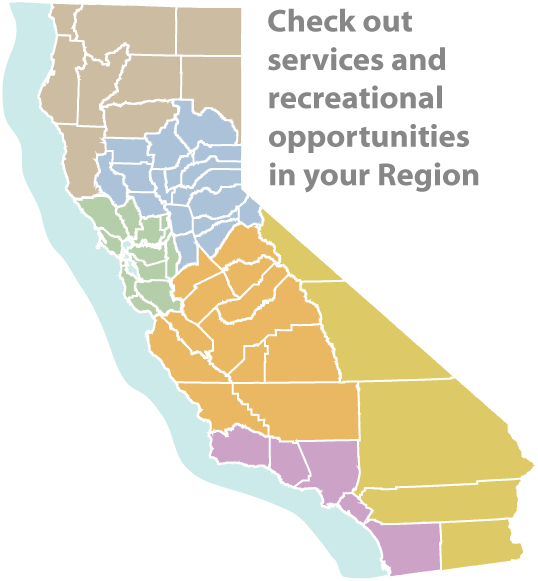 CDFW's website has been developed in compliance with Section D of the California Government Code 11135, which requires that all electronic and information technology developed or purchased by the State of California Government is accessible to people with disabilities. There are various types of physical disabilities that impact user interaction on the web. Vision loss, hearing loss, limited manual dexterity, and cognitive disabilities are examples, with each having different means by which to access electronic information effectively. Our goal is to provide a good web experience for all visitors. Uses Alternative Text “ALT” attribute. The ALT attribute provide a written description of an image, which is accessible to screen readers. This is also useful for people who have images turned off on their browser, in which case a description will display where the image would have been. Located at the top of each page (except for the home page) and directly below the main navigation, “breadcrumb” navigation provides a reference to where the current page is positioned within the website's page structure, allowing you to navigation back to parent pages.